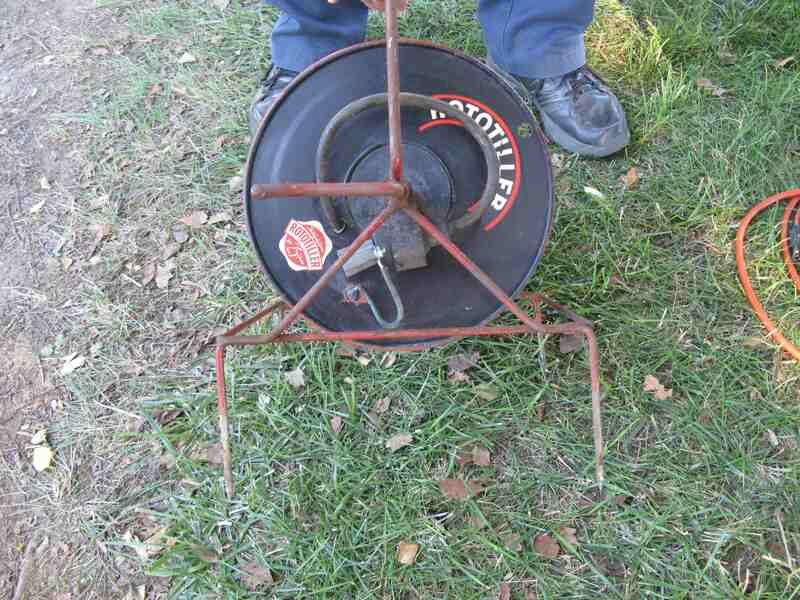 It also had a place to insert a handle to lever it up out of the ground once the gig was done. 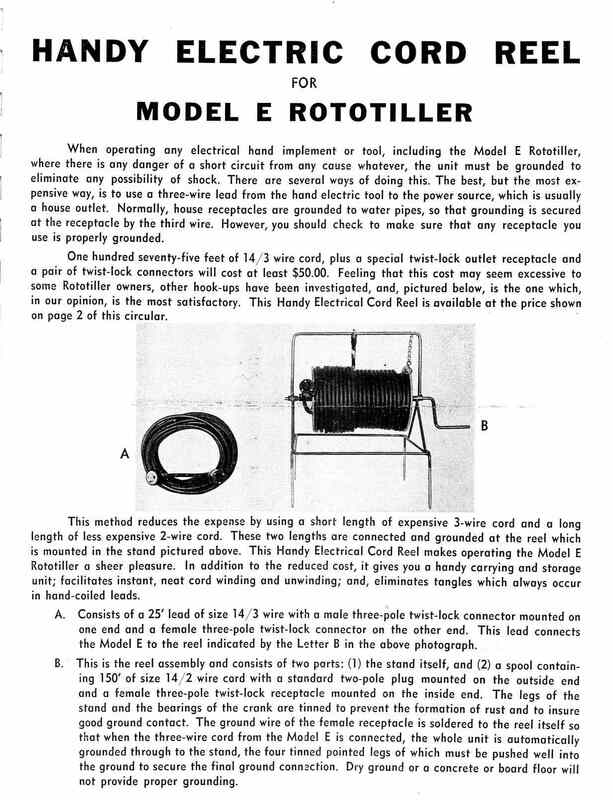 I never built one, but it would be an interesting experiment to see if it would pass the NEC 100 ohm max impedance listed for 8-ft ground rods before you needed a second rod. The thing i feel people often forget is as the humidity changes so does the resistance to the ground, if it is not driven not below the point where the air above earth affects the moisture below the earth. With that said I think it would be cool to test your concept and see how it would do for very short term uses. We always use 3 3ft ground rods that thread together to give us a total of 8ft underground and 1ft on-top of the ground. Hey, it could be important like the Ufer grounds: http://www.psihq.com/iread/ufergrnd.htm I just need to weld up my "bed-o-nails" ground and stick it in the ground. I know that it's not a long term building ground because of the dry soil thing, but perhaps dumping a gallon of water on it once a day would be sufficient. I'm just spit-balling here, so who knows? But I've got the test equipment to measure the impedance, so it's worth trying an experiment once the snow goes away. I know that it's (bed-of-nails) not a long term building ground because of the dry soil thing, but perhaps dumping a gallon of water on it once a day would be sufficient. I'm just spit-balling here, so who knows? But I've got the test equipment to measure the impedance, so it's worth trying an experiment once the snow goes away. Better yet -- two beds-of-nails, with individual conductors going back to the genset, and a monitoring circuit that sounds an alarm if the resistance between the to BONs gets too high. Hey, while we're at it, let's hook up the monitoring circuit to the lawn sprinkler system to give it a good dousing if it gets too dry! Oh, yeah. We're trying to keep this simple. Hey, while we're at it, let's hook up the monitoring circuit to the lawn sprinkler system to give it a good dousing if it gets too dry! My grandfather was a machine gunner in WWI and he told me that when the gun barrel got too hot they would take turns pee'ing on it so it wouldn't melt. I'm pretty sure that urine would have the proper electrolytes for a good ground. Seems like a simple solution to the dry earth problem. Spring is coming and I am starting to think about old engine shows. I show a 1947 Kohler light plant The common side of the 120 VAC is grounded to the generator frame as is the negative side of the 24 volt battery When the generator is running it puts out 120 VAC I have installed a GFI outlet. When the generator is not running it puts out 24 Volts DC is series with a high resistance relay on what was and will be the hot side of the AC. When a light is turned on current flows through the light switch and the light bulb and pulls in the relay. When the relay pulls in the generator starts. 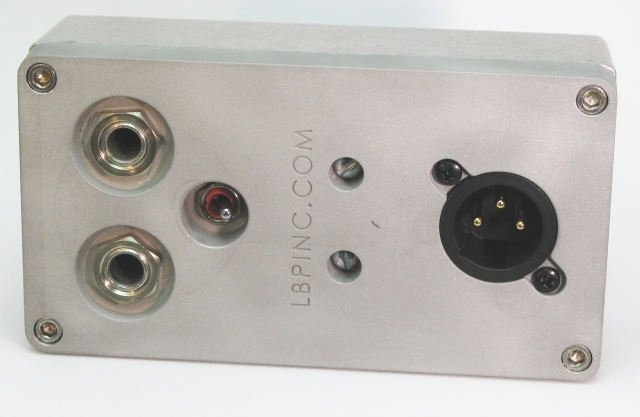 When it comes up to speed it transfers power to the outlet and monitors the current. When the light is turned off, the generator shuts off and goes back to watching for a load. I have used it with a skill saw, and with a sound system. The generator is mounted on a steel trailer. When I arrive at a show I push a 18 in screw driver into the ground and connect it to the frame of the generator. If people are not touching things they shouldn't there is no current flowing through them and all is well. If people touch something they shouldn't and either they or the generator are not grounded well enough to draw current then no one knows they did it including them. I think one of the light fixtures I have connected to it meats code but I am trying to get rid of that one. I am not seeing how a second G-N bond in a genny would affect GFCI operation? I certainly do not know all of the reasoning behind only having one bonding point, but one reason certainly is that grounds are typically smaller than neutrals-and with mutliple bonds a lost neutral results in the ground carrying neutral current-which would lead to overheating, etc. In a "typical" 5kw to 10kw backup situation, we usually use SO cord between genny and premisis-so ground and neutral are the same size. Ohms law says in this situation, both wires will carry the same current-a violation of the NEC rule against "objectional current" on a ground. However, if you draw the circuit out, the ground and neutral are in fact parallel conductors, so you really have a 3 wire system from the genny to the house-not unlike the 3 wire system from the POCO transformer to your house. POCOs often feed multiple homes with 3 wire from a transformer and GFCIs still function on the home. Since the genny GFCIs will get neutral and ground from the common G-N bond in the genny, each receptacle would act like a receptacle in a different home on the transformer. There would be somewhat of a safety hazard if both the neutral and ground conductors had a bad connection, in that the genny frame could become energized to a level above ground, since they are typically sitting on rubber/pvc wheels and pads. Floating grounds. I am against them. In the early days of house wiring there was a lot of controversy about grounding. In some areas grounding a electrical system was forbidden. 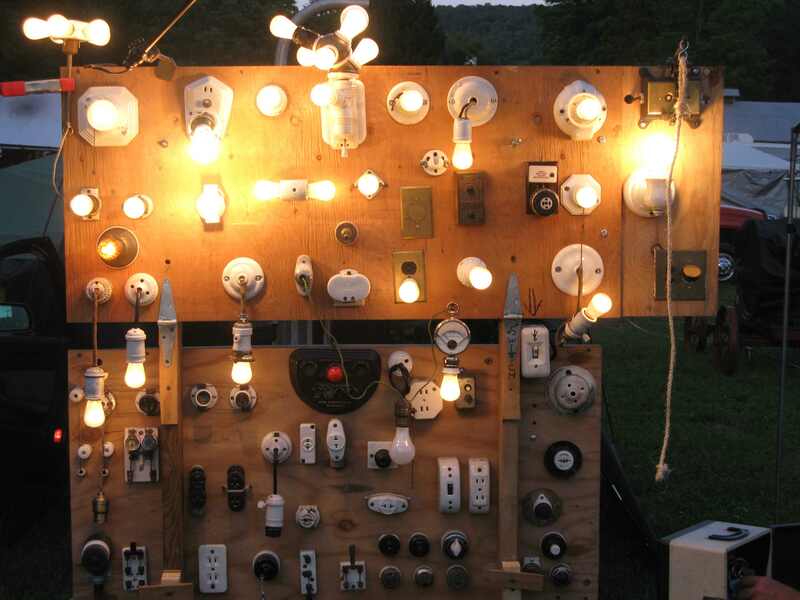 Some cities required a pair of light fixtures to be installed between each side of the power wires and ground so that if there was a accidental grounding of the system the home owner would know it and could fix it quickly. I thinking that an inverted bed-o-nails and a jug of water could be a pretty simple ground. One thing that's VERY important to worry about when driving any 3 ft or 8 ft ground rod is the possibility of underground utilities. I would think that 2" spikes on a plate would NEVER (hopefully) penetrate anything critical like underground electric, data, water or gas. I sort of think it would be worth an experiment just for grins. It's really nothing more than a 18" metal plate with a bunch of holes and nails welded to it and a lug to clamp a heavy copper wire. I've got a welding buddy who owes me a favor, so perhaps I can get this built for six-pack of beer (our normal method of payment for little projects). As I noted earlier, I have a fall-of-potential tester and could stick this in my yard and measure earth impedance over a few days with varying amounts of dryness. My guess is that on damp ground it would have a reasonable low earth impedance, but dry ground would raise the impedance to unacceptable limits. Perhaps heavy-gauge expanded metal would give me a good place to pour a gallon of water through to wet the soil. I'm in uncharted territory hear, so I'm just WAG'ing. I thinking that an inverted bed-o-nails and a jug of water could be a pretty simple ground. I spotted this at a old engine show. It is a reel with an extension cord on it. It is 2 wire cord, and the reel has 4 spiked feet coated with silver solder so they won't rust. 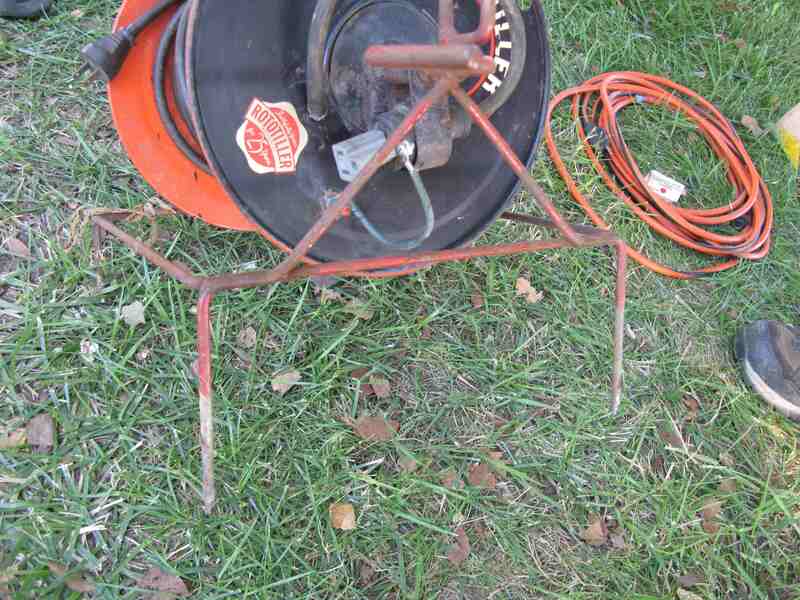 Run out the cord, stick the reel in the ground, and plug in a 25 ft 3 wire cord to ground your tools. As I noted earlier, I have a fall-of-potential tester and could stick this in my yard and measure earth impedance over a few days with varying amounts of dryness. My guess is that on damp ground it would have a reasonable low earth impedance, but dry ground would raise the impedance to unacceptable limits. Perhaps heavy-gauge expanded metal would give me a good place to pour a gallon of water through to wet the soil. I'm in uncharted territory hear, so I'm just WAG'ing. Mike, You could make a progressive test bed with a piece of 1/4 in plywood, a roll of copper window screening and a box of 2.5 in nails. lay the plywood on the ground, the screen on top and put a nail in each corner. then keep nailing and testing.